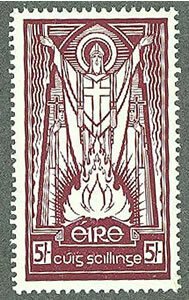 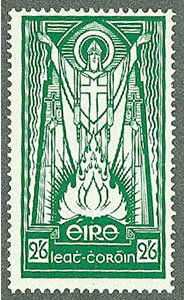 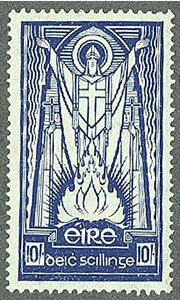 The Irish St. Patrick issues were produced initially in 1937 and continued into the late 1960's. 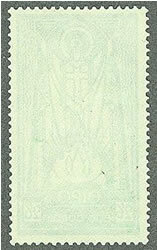 Identifying these issues is primarily a matter of determining the watermark, then finding the difference between the papers, and finally comparing the colors. 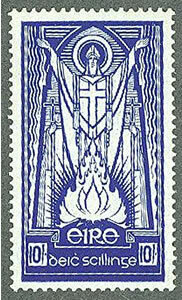 Look at your stamps against black paper with a good light as you make your determination. 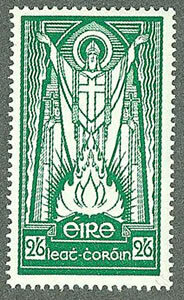 The catalog numbers are from the 2008 Commonwealth Catalogue (CW), 2013 Stanley Gibbons Stamp Catalogue (SG) and the 2011 Scott catalog (ST). 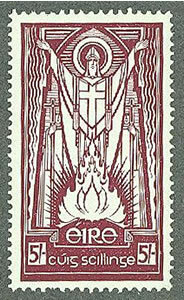 The description is primarily from the Stanley Gibbons Catalogue. 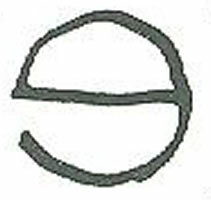 Both watermarks can be found inverted, reversed, and inverted and reversed. 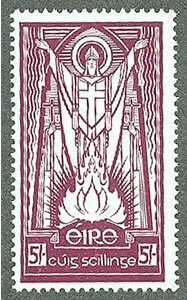 The example shown is the normal watermark as seen from the back of the stamp. 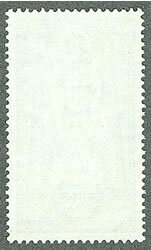 The stamps as described with cream gum are more of an off-white color. You will see a range of shades. 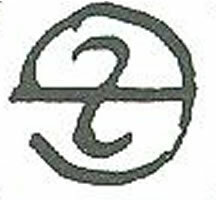 Notice how bright the white gum is compared to the cream gum. 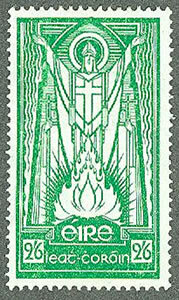 The gum will help you determine the time period the stamp was produced. 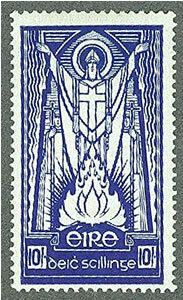 All of the earlier issues, including the SE watermark were printed on paper with cream gum. 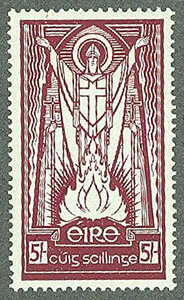 Ireland Stamps for sale based on the identification from this article.